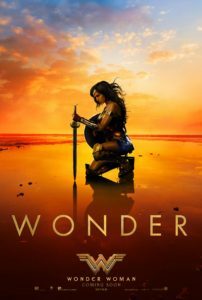 Last weekend, I — as many of my fellow nerds, geeks, and moviegoers also did around the world — made Wonder Woman a record-breaking film. Single-handedly, the Amazonian Princess of Themyscira pulled off a true wonder: an incredible cinematic experience from DC Studios. Guess it really does take a woman to do the job of two men. Let’s just address the 800-pound Doomsday in the room: Batman V. Superman (where Gal Gadot’s Diana was unveiled) was nothing short of a red hot mess. It made its money back, sure, but so did Star Wars: Episode One, Two, and Three, so please, don’t use that as a dog in this hunt. On account of BVS’ reception, a lot was riding on Wonder Woman. A lot. Perhaps the future of DC’s cinematic franchise.